We keep our ears and eyes open to issues and conversations in city and state government that might impact our rights to homeschool. In Colorado a state representative is now suggesting Colorado Homeschool Legislation that you need to know about! I’m sure you have heard the very sad news about Caden McWilliams’ death. Caden’s mother told the school district she was going to homeschool Caden … but in reality, it appears Caden was already gone at this point, per Fox News KDVR. So the mother was able to hide her son’s death for seven months by lying to the school. I am going to take a hard look into this case. Everything is on the table as far as I am concerned until we get all the details. 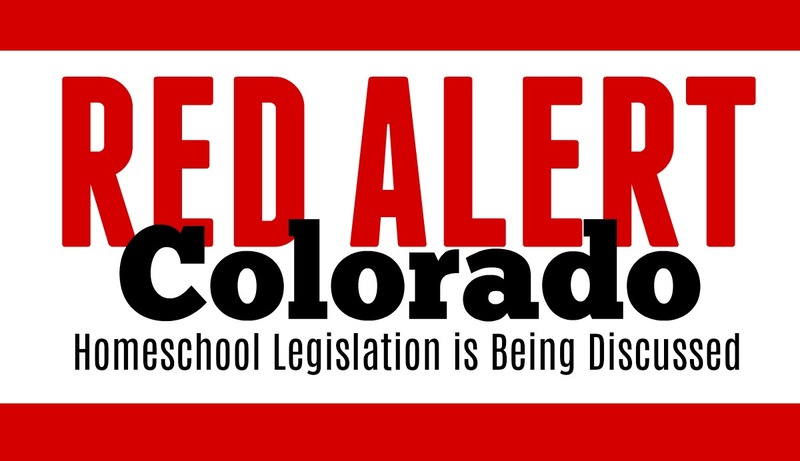 I encourage you to contact your state representatives and be sure they know how you feel about this proposed Colorado Homeschool Legislation. You can find the contact information for your state leaders here. If you are not sure what to say to them, we have created a sample letter for you to use. We have to be willing to get involved! It appears that Christian Home Educators of Colorado (CHEC) is getting involved and speaking up about this proposed Colorado Homeschool Legislation. If you are a homeschooler in Colorado, we highly recommend getting in touch with Steve Craig, the executive director of CHEC, to see how you can get involved and help! California recently had a very similar situation and homeschoolers got involved and has squashed the proposed legislation. You can read about that case here. It is never too early to teach your children how the legislative process works in America. It is never too early for your children to see you active and involved in a cause you believe in. I highly recommend you take this opportunity to dive into a discussion about civics. Do you remember School House Rocks? I STILL remember this video! It is a great place to start, even for older students. Check out thisbook on Amazon. It is that you might want to review. And if you like to make learning fun and your older children are interested, we actually have this game and love it. It is called Constitution Quest. You can find lesson plans for Middle and High School Students. Click here. And finally Brain Pop has some fun interactive games to help teach this subject! !